I found that about 50% Sakura is max you can go without totally deforming the default eyeballs. Also here is a quick render. is 50% sakura head and 50% other shape while using native eyeballs. would want to do some corrective measures to the eyes, but since just a test and i have stuff to do i didn't here. Lated EDIT: figured it was worth mentioning I don't use iray and use octane render. so this isn't a representation of the iray presets in any way, shape or form. for better or for worse. And this isn't the auto generated settings for octane, i heavily (but very quickly) adjusted the settings for the purposes of my test. What’s this about RareStone and a bishonen? Oh god I do hope so. My greatest wish is for a proper bishy. Gender-swapping anime girls does produce a certain kind of boytype-anime character, but not the sort I want my anime girls to be all tsundere over. I really hope this doesn't replace Aiko. 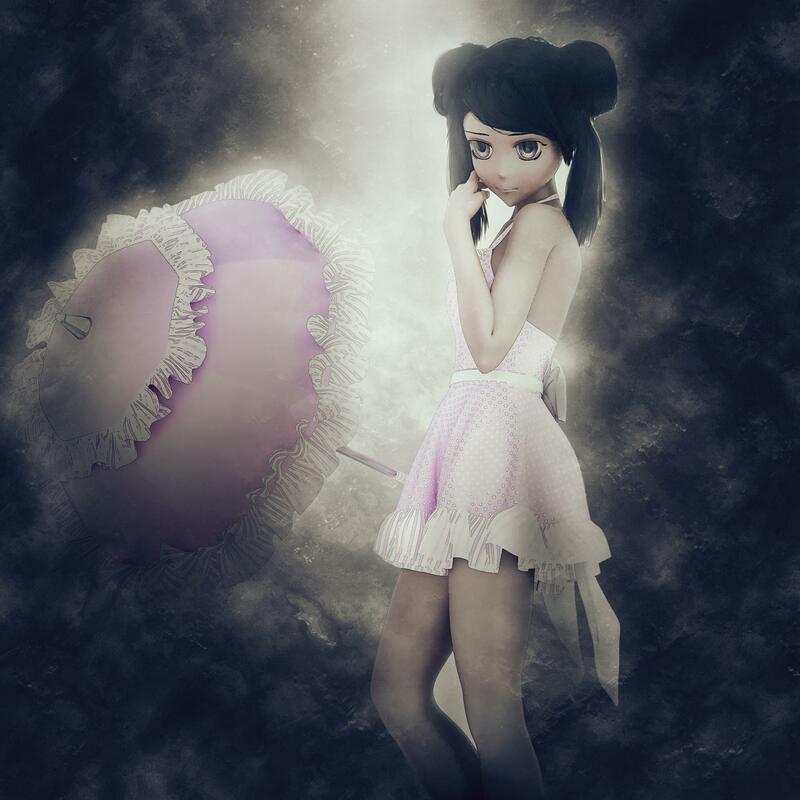 Here's a quick render of Sakura and Dolly together, each at 50%. I dialed in the morphs so it's using the regular G8 eyes. I had to adjust them a bit on the x and z positions, but the eyes probably need a little more tweaking. Select the Genesis 8 Female body. In the Parameters tab, click the menu options to the side and select "Show Hidden Properties". Make sure you have "All" selected and drill down - Genesis 8 Female: Hidden: Clones. You should have a Genesis 8 Male dial in there that's greyed out. Set it to 100%. Thanks! New secret Info all the time! I am sure there is room for two distinct Anime type characters for each gender. And I suspect that the reason some folks are disappointed is that they were expecting Sakura to be another real world Asian character and not old school Anime. ...what I like is she has definition to her arms and legs rather then them looking like "bent tubes" and she leds herself so well to Anime shaders..
...ooh geez, with the right mixing and morphing, I can see creating an even more accurate Merida with her. considering they've had many stylized characters each generation lately, I don't see this being the case. Though I'm not sure what people expect of aiko as she changes each generation and tends not to have much root in her past. A3 to A4 turned off some people, but since then her steps have been even larger. So if someone liked A5, they may not like A6, A7. Who knows what A8 will be. I wouldn't have any expectation. When is DimensionTheory's Iray Toon Shader coming out? IMO, this should have been released with Sakura 8 to maximize sales for both products. They could have had bundle deals involving each other. Also, was this Shader used in all the toon shaded promos, or just the one that mentions it? IMO, this should have been released with Sakura 8 to maximize sales for both products. I can say that is not always the case, as people often have caps to what they spend at a time. (hence the trickle of goodies on sites like this). but good point on crediting the shaders used in the promos. important stuff. Sorry, not for me, but then I am into ultra-realism rather than anime. What is going on with her left leg here on the left figure? Her thigh, knee and shin down look like they are all out of sinc. Hopefully they do come out with the male counterpart, but worst case scenario you can use unhide the G8 male clone and use that as a morph to make a male figure. The fingers need joint center tweaking and I'd probably use a few morphs to make the face a little more masculine, but out of the box the results are pretty decent. 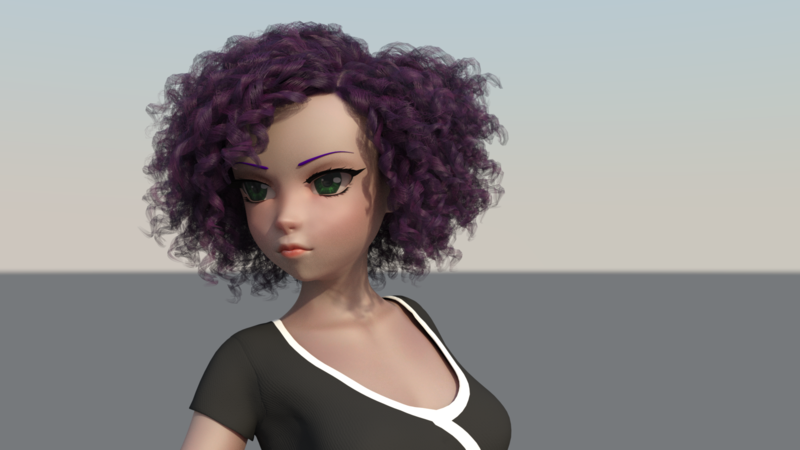 Here's Dolly mixed with sakura 50% each and 100 % Josie mixed with 50% Sakura, both are done from the base mosel G8F, so don't use Sakura's eyes the G8F eyes will need rescaling and positioning. Just wish I could fix the technical problems. :/ Every time I try to load it or one of the add one figures in, it just makes a smaller version of the Base Gen 8 model. @@ anyone know how to fix this? Also, how do you get to these "Gen 2 and 3" clones the decription speaks of? Since I imagine some folks might be into it, I (very quickly... seriously like 30 mins of work this morning) whipped up a couple morphs to enable better with the default eyes. It isnt quite perfect, but it does make, say, blending with other figures a bit easier. I'll be sticking it up on sharecg once I've packaged it up either tonight or tomorrow. Awesome, looking forward to it, j cade! I had that with The Girl 7, I had to use to install it via smart content and then all the morphs worked well. Ok... you sold me. Guess I'm going to have to buy this now. Just curious... Why do you use Octane render? Just noticed there is nothing fun for those of us that already own the pro bundles. Bummer. These are Sakura's default skin (lower translucency) and...I forget who's eye texture, but it's G8F's regular eyes. Clicky for IMGUR gallery with 25-75, 50-50, and 75-25 mixes. Thank you. Very generous. Will be on the look out. Sakura, one of the eye and mouth variations, postwork filters. Original render included as an attachment. How ccan I not use Sakura eyes, I have no idea how to blend them out. Sakura shows up in DIm but it has no metadata and doesn't show up in smart content or regular content pane! 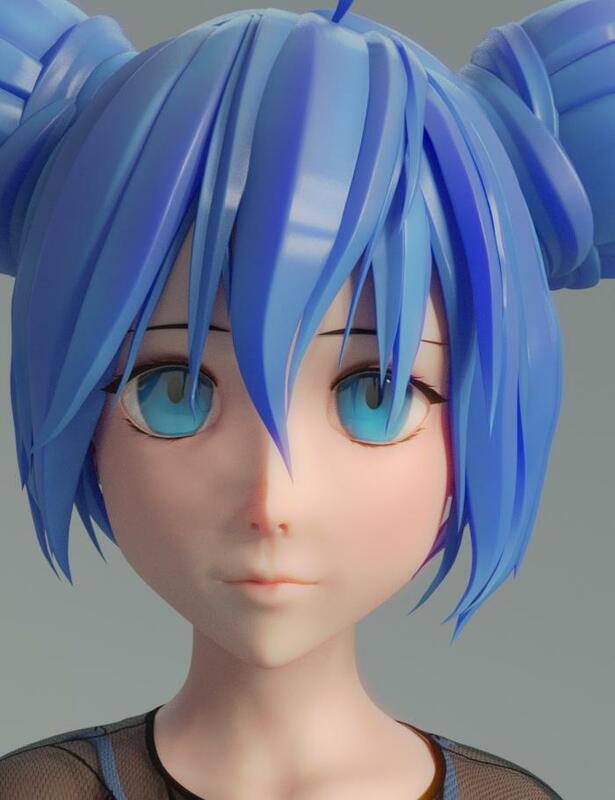 Delete the eyes and make the base G8F eyes visible in surfaces. She has metadata for me. Maybe redownload?